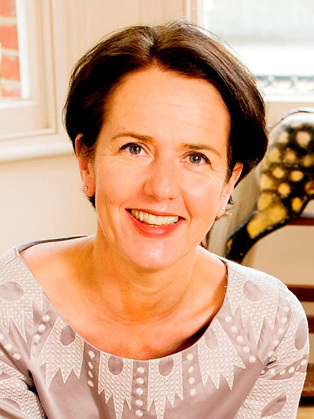 Fi Glover is a multi-award winning broadcaster, writer and voice over artist. She was described in the Guardian as ‘gifted’ and ‘disproportionately likeable’. Fi has won a Sony Gold and a Sony Silver for Saturday Live, and a Sony Silver Award for Broadcasting House (both on Radio 4), as well as a Bronze Award for the GLR Breakfast Show. Fi has also received four other nominations over the last 10 years. She is one of this country’s best known radio voices, and was voted the 9th Most Powerful Voice on Radio in the Radio Times 2010. Fi has worked on Radio 4, Radio Five Live, Radio 2, Radio 1 and GLR and having left Saturday Live in April 2011 she is now presenting a landmark 3 year documentary series for BBC Radio called Generations Apart. This summer she also joined the roster as a panellist on Just a Minute. Fi cut her teeth on the BBC’s Trainee Reporter scheme in 1993, travelling the country working for local radio stations. She used some of those experiences in her 2001 book Travels With My Radio which was a top 20 bestseller on Amazon. Fi joined GLR in London as a junior reporter, ending up presenting the Breakfast Show there after 3 years. She then left to work on Five Live where she presented the Late Night Show, the award winning Sunday Service and the mid morning phone in. From 1997 to 1999 she also presented The Travel Show on BBC 2, travelling to 36 countries in 3 years. Fi left Five Live in 2004 to write a book in New York – it remains one of the literary world’s great-unfinished masterpieces as she was asked to return and take over at the helm of Broadcasting House on BBC Radio 4 in January 2005 and then to help create and launch Saturday Live on Radio 4 in 2006. The latter is now one of the station’s most celebrated, and enjoyed, shows. Over the last 16 years in broadcasting Fi has also presented Rough Justice Live on Channel 4, The Technophobes Guide to the Future on BBC 2, she has appeared on The Apprentice and Call My Bluff. She is in demand as a voice over artist, with credits including Heston Blummental’s Mission Impossible and Willy’s Chocolate Adventure for Channel 4. Fi's corporate work has included chairing major events for Clifford Chance, hosting the 2010 Charity Commission Awards, the 2010 Independent Publisher’s Awards and she is hosting this year’s Stirling Prize ceremony in Rotherham in October.Fi is on the board of Sound Women, the industry organisation promoting women’s rights within the industry and was Chair of Judges for the 2009 Orange Prize for Women’s Literature. She has written columns for The Guardian and Women’s Weekly and currently writes a weekly opinion piece for Waitrose Weekend. In January Fi was a contestant on Sport Relief does the Great British Bake Off on BBC2.